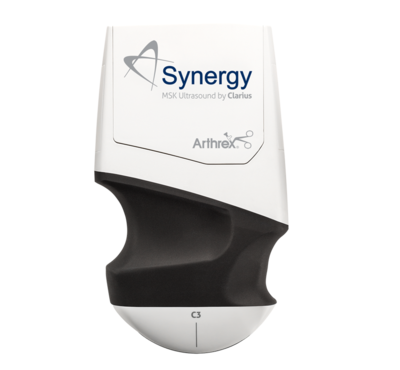 The Synergy MSK ultrasound scanner's limitless portability stems from its cordless design. Simply launch the Clarius App for Synergy MSK ultrasound to create a secure direct Wi-Fi connection with iOS* or Android™* mobile devices. This gives you the ability to perform quick diagnostic MSK (musculoskeletal) studies and procedures requiring needle guidance. 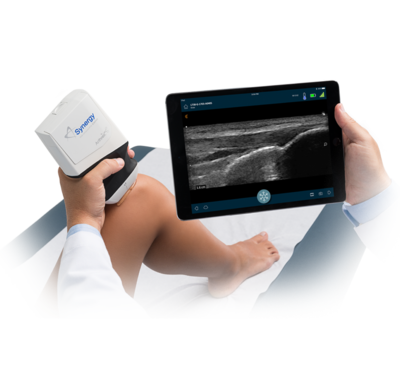 Synergy MSK ultrasound uses advanced technology to display high-resolution images with a simple, intuitive touchscreen user interface. 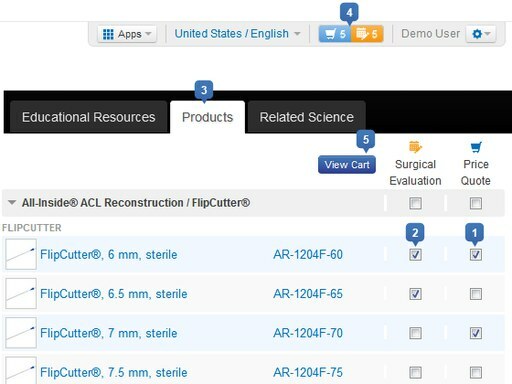 The application comes with preset MSK examination settings to optimize workflow as well as the ability to make quick adjustments to gain and depth to customize images based on the patient’s anatomy. Images are wirelessly uploaded from the Synergy MSK ultrasound to a HIPAA-compliant, secure cloud management site for review and/or storage. *IOS is a trademark of Cisco in the U.S. and other countries and is used under license. Android is a trademark of Google LLC.